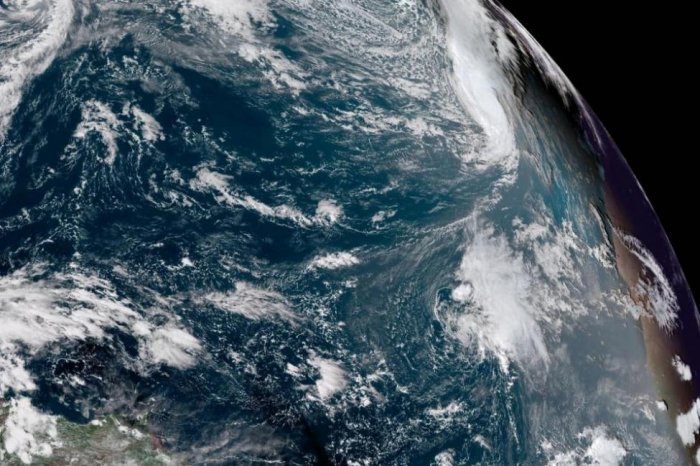 Hurricane Leslie is expected to bring wind and rain to parts of Portugal and Spain this weekend, the National Hurricane Center reported. Leslie was 795 miles west-southwest of Lisbon, Portugal Friday evening (Oct. 12), moving east-northeast at 35 mph. Maximum sustained winds were 85 mph. "On the forecast track, the center of Leslie will pass north of Madeira Island tonight and early Saturday, approach the southwestern portion of the Iberian Peninsula on Saturday, and move inland over portions of the Iberian Peninsula late Saturday and Sunday," the Hurricane Center said. "Leslie is expected to transition into a hurricane-force post-tropical cyclone on Saturday. Weakening is forecast after Leslie moves inland over the Iberian Peninsula, and the post-tropical cyclone is expected to dissipate by Monday." Portions of Portugal will get rain and near hurricane-force winds late Saturday and tropical-storm-force winds will affect western Spain late Saturday and Saturday night, the Hurricane Center said. Meanwhile, Tropical Storm Nadine in the eastern Atlantic was forecast to become a remnant low on Saturday. Read the original article on nola.com.